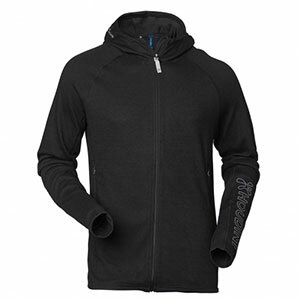 Houdini calls it a base layer, but this super lightweight, hoodie style fleece works well in many applications. 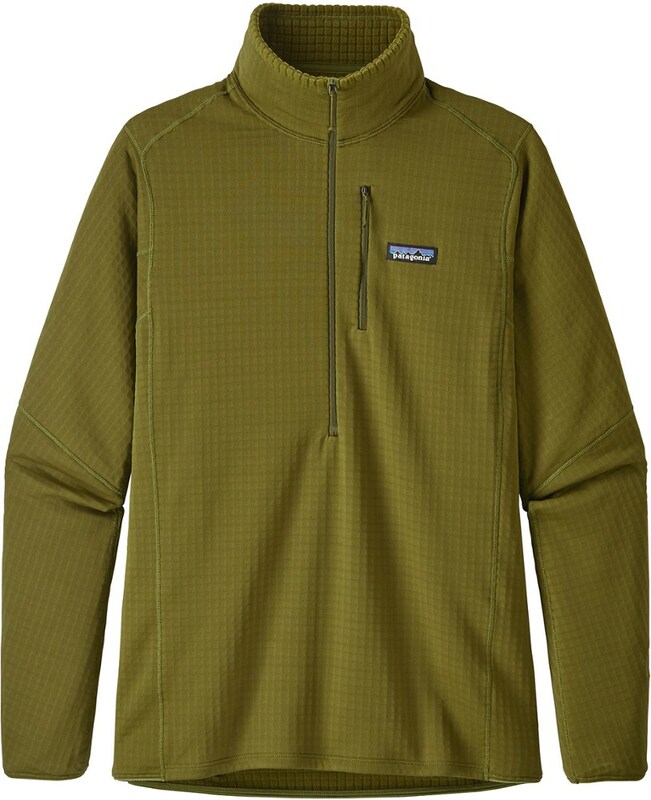 Top, bottom, or middle it breathes and wicks making it great for active layering. 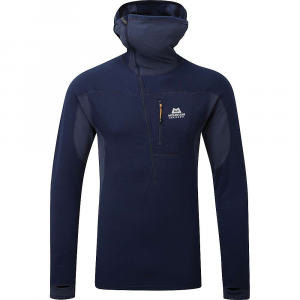 The Houdini Alpha Houdi is a full zip fleece with a form fitting hood, but despite that description and what you might see at first glance, this is not your average "hoodie". Described by the maker as a "Regular Fit" it was regular enough to deal with my irregularities, but I would describe it as more of an active fit, though a forgiving one. 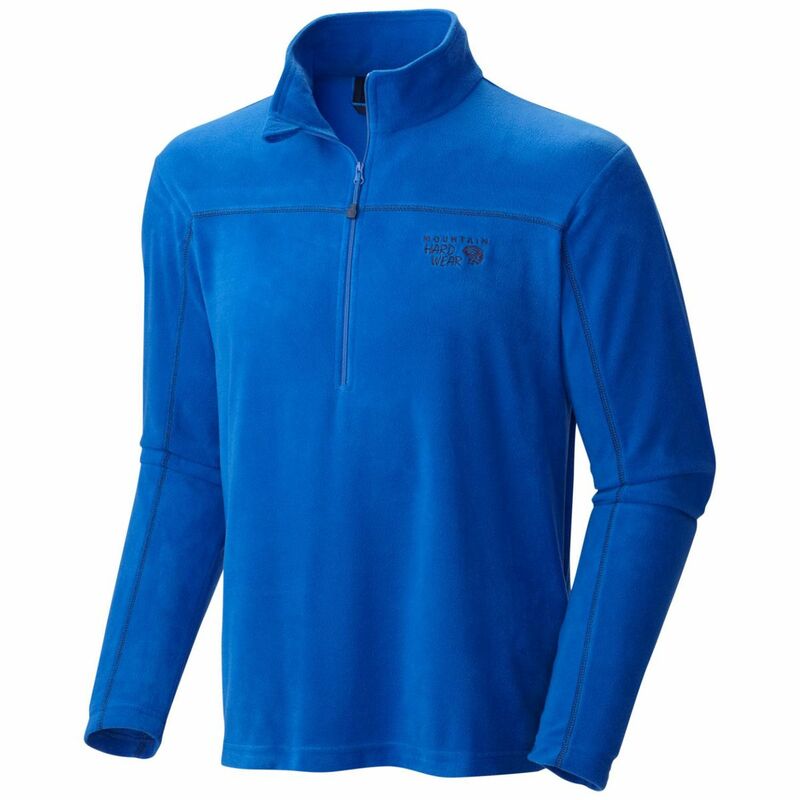 The lightweight material stretches easily in all directions providing a comfortable, close fit. 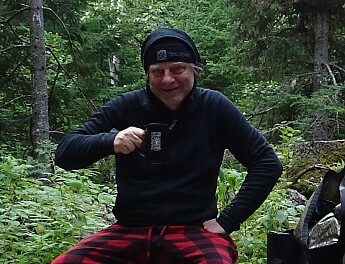 Seen here as part of my camp ensemble on a late July trip to New Hampshire's Wild River Wilderness it made great lounge wear during the warmer months. Designed to be worn as a base layer it felt nice against the skin. With enough give for active use it also made a comfortable sleep layer. 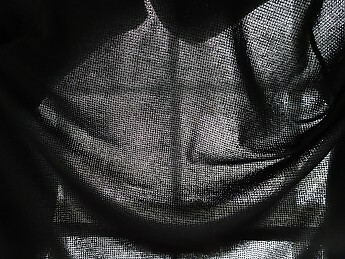 This is a picture of the material hung against a window. You can see the cross of the window panes pretty clearly which gives you an idea of just how lightweight this material is. The specs on the EcoCircle Alpha Base list it as 191 g/sqm for stat minded folks. You'll also hopefully be able to see in this picture just how finely woven the material is. These qualities allow the material to retain a small bit of heat while passing excess heat and moisture through. 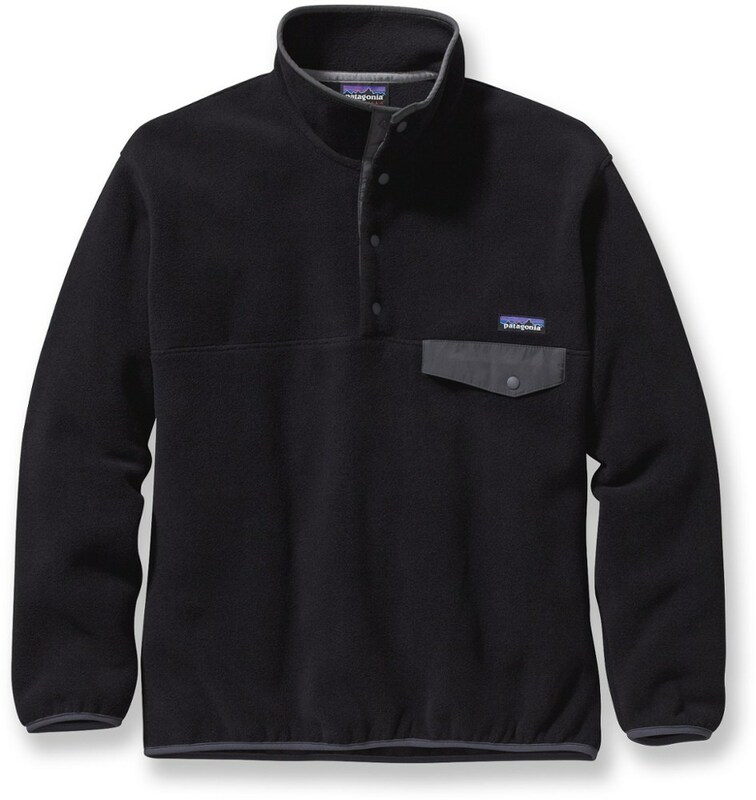 This pass through is effective enough to create a chilling effect under some inactive conditions rather than the warming you might expect from a fleece jacket. Worn as a base layer it rarely became more than slightly damp as it sent most moisture on to the next layer. When used as a mid or top layer it did very well at taking base layer moisture and distributing it to avoid soaking through. If you want to retain heat you are going to need to layer this fleece, but it works very well with others both while active and at rest. On this 39°F morning in Baxter State Park I was able to manage less of a grimace and more of a smile in this shot from a family trip. I had a thin wool base plus a sythetic grid fleece under the Houdi and together they did the trick. Active use is what this jacket is really all about though. 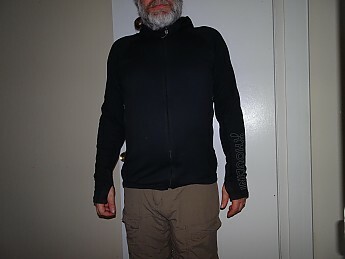 It felt good as a base layer with the close fit allowing for other layers to ride over it comfortably. For my tastes I found that application tended to be too warm no matter what layer I used over the top. The Houdi holds a lot of heat in when prevented from venting directly to the air. That venting quality made it work very well when worn over the top of a thin wool layer like the WoolPro Skylark. That heat retaining quality worked very nicely when the Houdi was worn under rain gear though. Yet another application for this versatile jacket, it felt comfortable against the skin on long wet days. That venting quality of the material seemed to keep the rain jacket from plastering against the skin. It helped to hold a layer of warmth around the arms and torso on those days you are going to be wet no matter what. 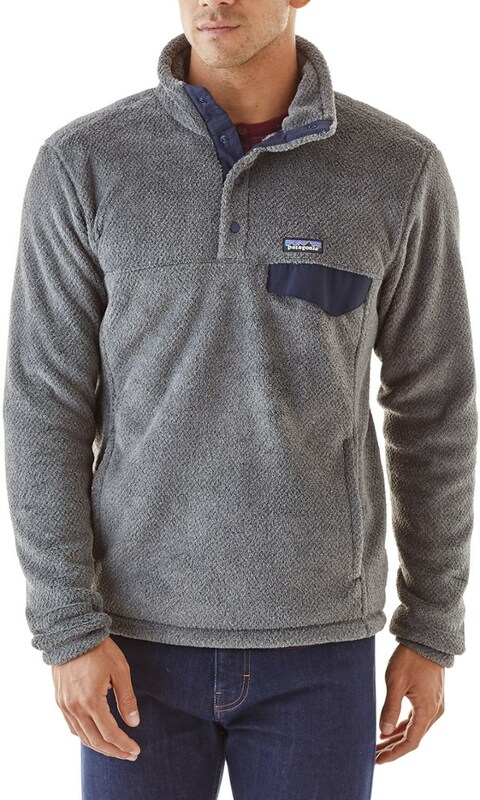 The extra long arms with a sewn in thumb hole keep the sleeves down and hands warm. Nice long tail that extends far enough to be functional without hanging down to your knees. An adjustable cinch cord lets you get the perfect fit to avoid gaps, again without excess material to get in the way. 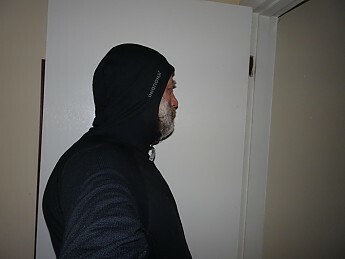 The form fitting hood again avoids excess material and is designed to fit closely without the use of a cinch cord. This close fit allows you to wear helmets or other head gear over the top comfortably. All of these features are very useful for both active and inactive applications. 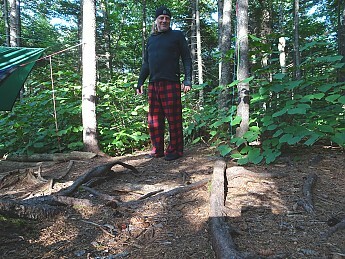 The same close fit that lets you hike or climb while wearing the Houdi also make it great sleepwear. The EcoCircle Alpha Base material has held up very well despite a lot of use. There is some minor pilling and there have been a couple of thorn snags, but it appears almost new after a full year of use. 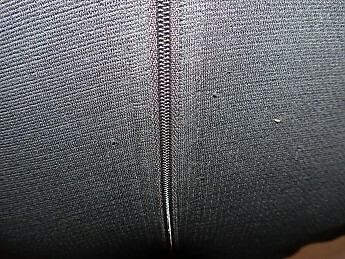 The zipper moves freely and is fully functional despite having been popped open due to torsion events a couple of times. I have used the Houdini Alpha Houdi extensively for the past twelve months. Because it is so flexible in application I found use for it in all sorts of weather and for all sorts of activity here in New England. It was used as a base, mid, and outer layer when paired with other items and also worn alone many times. Backpacking, snowshoeing, day hiking, and sleeping are the major activities performed in the Houdi while sitting around camp eating was the major inactivity. I was surprised at how light the Houdi felt the first time I put it on. It was barely there and I wondered what purpose this thing was going to serve. The more I used it the more I learned about how to use it and soon it was coming along on all of my trips. Being a steam engine I have to keep my layers light and flexible in cold weather. The Houdi has become a great tool for me in that regard. Worn over a light wool base I can work hard balancing temps by opening and closing the full zip as needed. Throw a technical jacket like the Ternua Loughor over the top and the Houdi acts as a great mid layer, wicking moisture from the wool base while helping a breathable outer layer like the Loughor to retain a bit more heat. Despite being great active wear I have found it also makes great sleep wear. Very comfortable while rolling around on a pad or in a hammock. It doesn't restrict movement which lets you sleep rather than wake up if you start moving around. As a sleep layer it stays in place well and works with other layers to hold heat close to the body where it does good. The use of recycled materials is nice. Houdini says that when you feel you've finished using your fleece you can return it to them to be recycled, completing the circle. They seem like nice folks in that regard at least. The Houdi I will definitely say is nice. This has really become a favorite piece of gear and a purchase I'm glad I made. 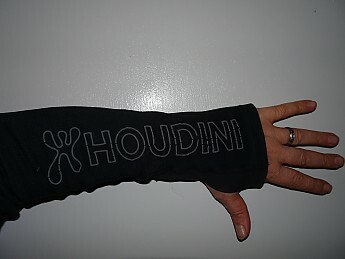 I'll certainly look at Houdini products in the future based on my experience with this one. I can also highly recommend the Houdi as being worth a look for most anyone, but especially those who generate a bit of steam and need layers that can handle it. Great review, LS! I'm always eager to read reviews of brands that aren't as well known here in the US. It sounds like a reasonable price for the garment too. Where did you find this for sale? I'm always willing to try new stuff, but finding it on sale always makes it easier. This showed up last January on Steep & Cheap at that price for some reason and I snapped it up. Frau Stranger has since picked up a different, heavier hoodie from this same maker. Hopefully she'll post a review because I know she loves it as much as I love mine. 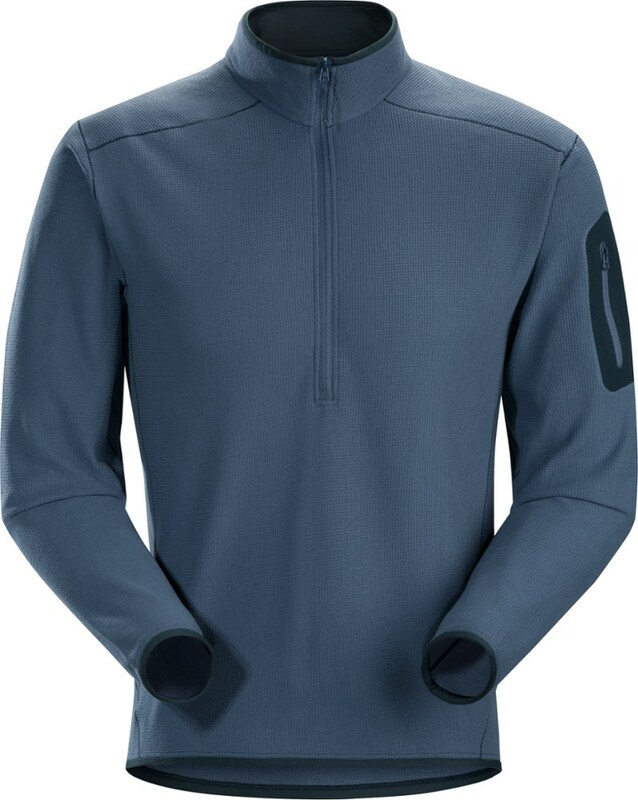 Nice looking "base layer." Great review. The Houdini Alpha Houdi is not available from the stores we monitor. It was last seen November 1, 2014	at Backcountry.com.